Slax OS is a modern, portable, small and fast Linux operating system with modular approach and outstanding design based on Debian. It runs directly from your USB flash drive without installing, so you can carry it everywhere you go in your pocket. Despite its small size, Slax provides nice graphical user interface and wise selection of pre-installed programs, such as a Web browser, Terminal, and more. 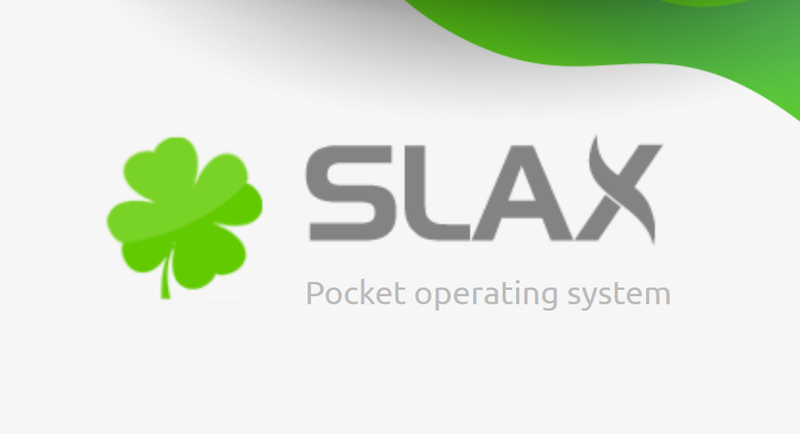 The tagline for Slax refers to itself as “your pocket operating system”. Slax OS is a Live operating system based on Linux. Live means it runs from an external media without any need for permanent installation. Slax boots from USB mass storage devices such as Flash Drive keys as well as from regular hard drives and CD/DVD discs. Simply plug your device in and boot from it. Entire Slax operating system resides in a single directory /slax/ on your device, making it easier to organize with your other data. Slax OS provides FluxBox window manager already preconfigured for the most common tasks. Included is a Web browser chromium, Terminal emulator xterm and simple text editor leafpad and calculator qalculate. You can put Slax on wide range of different filesystems, including EXT (ext2,ext3,ext4), btrfs, and even FAT and NTFS. Slax is available for 32bit and 64bit processor architectures. The 32bit version is designed to run on very old computers (as old as Intel 686; that dates back to 1995). It will run properly on brand new computers too, but it is somehow bigger download. Furthermore it has a limitation that single application can address only 4GB of RAM. On the other hand, the 64bit version is smaller, does not have such limitation, and it will run on most computers available nowadays. So in general, if you plan to use Slax on very old archaic computers, then choose 32bit. If your intention is to use Slax on machine made in this century, you better go for 64bit. And if you don’t know what your target hardware is, go for 64bit too, because the chance you’ll ever see a 32bit computer nowadays is almost zero. Slax OS is free software: you can redistribute it and/or modify it under the terms of the GNU General Public License (GPL) as published by the Free Software Foundation. Slax is distributed in the hope that it will be useful, but without any warranty; use at your own risk. The GNU GPL license requires that all source codes are published so others could reuse it, modify or learn from it. You can trust me, this is very good idea – without it, there would be no Slax at all. Slax itself shares most of code with Debian, whose source code is as well publicly available. One of the main benefits of the Slax distribution is its ease of customization. Additional software can be added and removed, using Slax modules. A traditional package manager such as Debian’s APT is not required to load additional software; Slax modules are completely self-contained. However, APT is fully supported. Users can also modify the default CD image or USB drive installation to customize the packages available in the distribution on boot. Slax also allows Debian packages to be converted into Slax modules. Slax modules are compressed read-only SquashFS file system images that are compressed with a LZMA compressor. The various modules are stacked together to build the complete Slax root directory. A supplemental writable layer (a tmpfs file system) is put on the top of the stack to implement the write functionality. ← Industry 4.0 — the Industrial Internet of Things (IIoT)?